Space exploration missions in the future will involve in-situ sampling and analysis under extreme environmental conditions, so these missions will require actuators and sensors that can operatereliably for a long period of time under these conditions. Piezoelectric materials with very high Curie temperature would beideal for this role, but there is very little information available about their electrical properties at elevated temperatures. A measurement system was developed in order to be able to measure the changes in the different vibration mode frequencies and electrical properties of these piezo ceramics as the temperature was increased up to and above their Curie temperature. This measurement system and the evaluation of measured data can be particularly useful to designers, because the collected information can help them to anticipate and incorporate the observed changes into their future actuator and sensor designs. 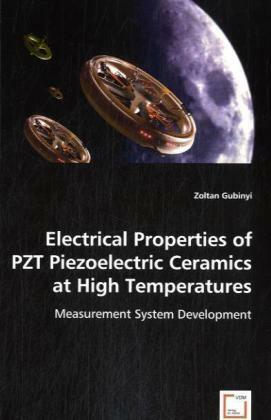 The description of the developed measurement system and the result of the measurements on a variety of piezoelectric materials are presented in this book.